Taking an aerial tour of Tech’s campus is an opportunity that many Tech students did not know they have access to. As a member of the Yellow Jacket Flying Club (YJFC), the oldest continuously running collegiate flying organization, this is one of its many perks. The YJFC was founded in 1946 by Tech students passionate about fulfilling their dreams of flight. Their mission was to provide students, alumni, faculty and staff at Tech with opportunities to pursue aviation interest through flight instruction and aviation-related events and activities. In parallel, the Yellow Jacket Flying Club, Inc. was established so as to provide the club with the advantages of a 501(c)(3) non-profit organization. The YJFC is grateful for the many donations it receives that contribute to the club’s ability to maintain a safe and reliable fleet of aircraft. The club owns, operates and maintains four Cessna 172 aircraft from DeKalb-Peachtree Airport in Chamblee, GA. Two of these planes, N203GT and N314GT, are dedicated flight trainers for individuals first learning how to fly. The other two, N271GT and N2105X, are designated as cross-country aircraft that are available for advanced training along with personal use by licensed club members. With a nonstop range of over 400 nautical miles, N271GT and N2105X are perfect for weekend trips to places as far as Cincinnati or New Orleans. Since acquiring the simulator in September, more than 80 flight hours have been logged. “The Redbird can mimic emergency situations like engine failure and/or an engine fire; things you wouldn’t want to test in a real plane.” The simulator is free to use for members and is a great opportunity for individuals to learn without having to spend money on flight fees. In addition to providing educational opportunities, the club hosts more relaxed too. Several times throughout the semester, flights are made to nearby airports just to grab a bite to eat. Most commonly, the YJFC flies to the Gwinnett County Airport to eat at the Flying Machine. The “$100 Hamburger,” an actual item on the menu, is a crowd favorite whose name accurately represents the cost of the burger once you factor in the fuel cost and cost of dinner. Most recently, the YJFC hosted a Fly-In that was a joint effort between the Clemson Flying Club, the Auburn Flying Team and the YJFC. The Fly-In involved games, trivia, spot landing and balloon drop competitions, along with plenty of food. While the club welcomes students, faculty, staff and alumni, students only pay $20 per semester for dues compared to $30 for non-students. This fee provides access to all YJFC events and activities. Renting the airplanes costs $99 per hour for the trainers and $109–129 for the cross-country planes. 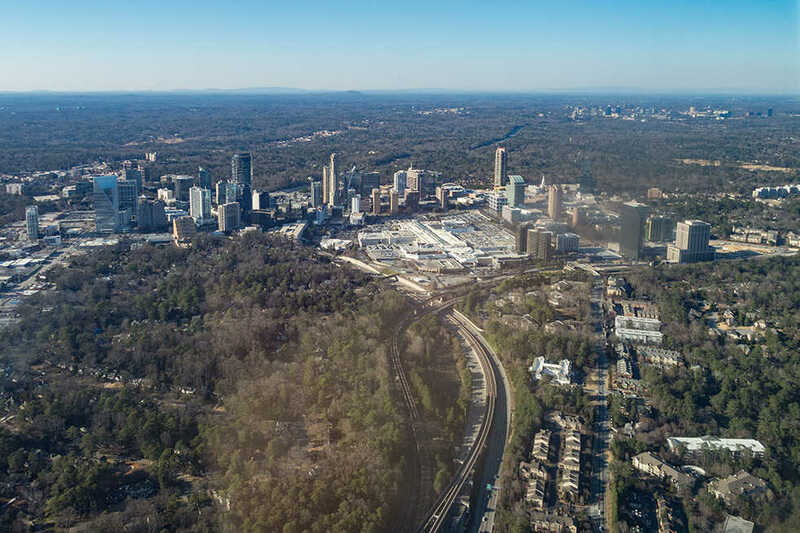 All new members are offered a free introductory flight, flown by a club member private pilot, over Stone Mountain and downtown Atlanta. Flight fees are also imposed on those members who want flight instruction or are club-certified pilots and are $145 per semester. A discounted flight fee of $95 is offered for new student pilots and members who earn enough volunteer points. Flight instruction by a club instructor costs an additional $34 per hour. The Club also awards $1,000 each year to a deserving Tech student as part of the Peter Van Norde Scholarship to be applied towards a private pilot license. Contributions like this from private donors and companies help make flying with the YJFC safer and more affordable. One of the reasons the YJFC can keep costs low is because it is mostly volunteer staffed with a lot of alumni involvement. They also rely on donations which in the past have included airplanes, flight training supplies, and more. To learn more about the YJFC, Tech students, faculty, and alumni are invited to attend Airport Fun Day on March 12 from 9 a.m.–5 p.m at DeKalb-Peachtree Airport. Flights around downtown Atlanta can be scheduled for $20, food will be available, several aircraft will be on display and the Redbird Simulator can be flown. To learn more, please visit the club’s website at YJFC.org. Be sure to register for Airport Fun Day at YJFC.org/store and include your name in the comments section at checkout.